"Socially Responsible Investing" (SRI) is an investment strategy in which the only investment options considered are those with socially responsible corporate practices. The three main societal factors considered are environmental, social, and governance (ESG). The goal of this strategy is to provide a return on investment while investing in companies that have the world's best interest in mind. We believe it is a misconception that socially responsible corporations sacrifice profits in order to provide social good. In fact, a strong reputation for social responsiblity can lead to better brand name recognition and help retain talented employees who are proud of their company's positive impact on society. These benefits can potentially lead to long term success for socially conscious enterprises. 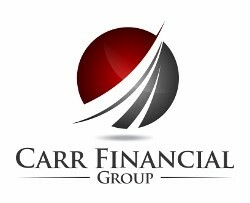 At Carr Financial Group, we believe its important to have the opportunity to invest your money in line with your values. Investing in companies that strive to have a positive social and environmental impact on society should not be a challenge. If you agree, we would like to discuss the options available to you that fit this strategy. Please contact us for more information on our process and the benefits of SRI.